For most people, the first benefit that comes to mind when the deregulation of the energy market is brought up happens to be an increase in competitiveness. First, multiple producers competing against one another results in the producers cutting their prices because lower prices help to attract customers. Second, competing producers are forced to improve their services relative to one another because dissatisfied customers can switch over to their competitors. However, the deregulation of the energy market is also beneficial because it can help conscientious customers promote the use of sustainable electricity over their unsustainable counterparts. Customers being able to choose their supplier of electricity means that more conscientious customers can choose sustainable producers. Their business helps to keep these producers going, which in turn leads to them being able to continue improving on their electricity generation methods. In time, such improvements might lead to a future where sustainable methods can replace their unsustainable counterparts altogether. Biomass refers to scrap materials derived from animal and plant sources. Common examples include scraps of food, dead plant matter, and industrial residue. At present, using biomass helps to reduce carbon emissions but is nonetheless problematic because it produces high levels of nitrogen oxide. Geothermal uses heated groundwater to turn the turbines needed to generate electricity. It produces fewer emissions compared to other methods but is unsuited to mass adoption because it is dependent on location. Geothermal cannot be used unless there is an underground source of heat available. Hydropower uses the kinetic energy of flowing water to turn turbines. Power plants designed to use hydropower produce few emissions, but often require extensive restructuring of the sources in question. As a result, using hydropower can cause disruptions to the local ecosystems and the people who depend on those same ecosystems. Natural gas produces fewer emissions than either coal or petroleum but also comes with the problem of methane emissions. Furthermore, the water used in these electricity generation systems often contains pollutants that are then piped into lakes and rivers. Nuclear power produces no direct emissions and consumes large amounts of water. However, the part that concerns most people is the radioactive waste produced as a byproduct. Although such waste is stored in steel-lined vaults, most people remain uncomfortable with its existence. Generating electricity using petroleum is problematic from start to finish from an environmental perspective. The burning of petroleum for electricity releases large amounts of pollutants into both the air and nearby sources of water. At the same time, the process also produces solid waste that needs to be treated as hazardous material due to its metal and toxic content. Solar produces zero emissions but can consume large amounts of water. Although domestic solar panels take up little additional space, the same is not true of solar energy farms. Furthermore, some solar panels can contain hazardous materials, which means that they require proper disposal. Wind is one of the sources of electricity that contribute little or nothing to either climate change or local pollution. 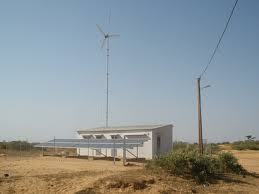 However, windpower is dependent on there being enough wind to turn the turbines. In recent years, advances have been made to enable both the storage and transmission of wind-generated electricity over long distances. To sum up, the deregulation of the energy market can help the environment because it enables conscientious customers to vote with their dollars by choosing energy producers who either use sustainable sources or incorporate them as much as possible. Tom Grant is a financial consultant. She enjoys blogging and helping her readers save their hard earned money while also being environmentally responsible. Click here to visit http://www.ohiogascompanies.com/ for more information.